Dr. True is a graduate of the University of Miami School of Medicine. 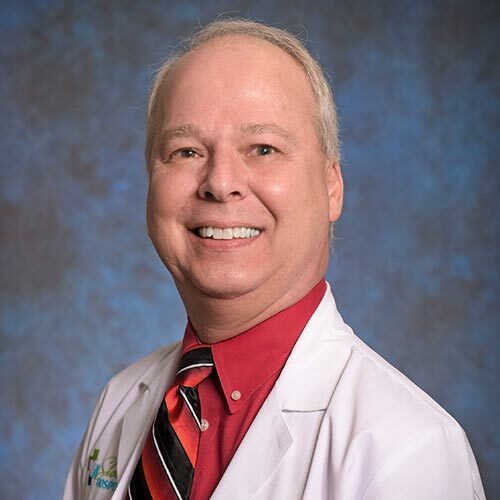 He is board-certified in Family Practice and holds the degree of Fellow from the Academy of Family Physicians. Dr. True is an alumnus of Arkansas State University, Southeast Missouri University, Warner Southern University, Anderson University School of Theology, University of South Florida, Oral Roberts University, and University of Miami School of Medicine. Before moving to the Shoals area, Dr. True practiced in Birmingham, AL, for 15 years. He is a Clinical Assistant Professor of Family Medicine at the UAB School of Medicine and teaches for various universities. Dr. True also serves as Shoals Hospital Chief Medical Officer and was Alabama Hospitals Trustee of the Year, 2015.